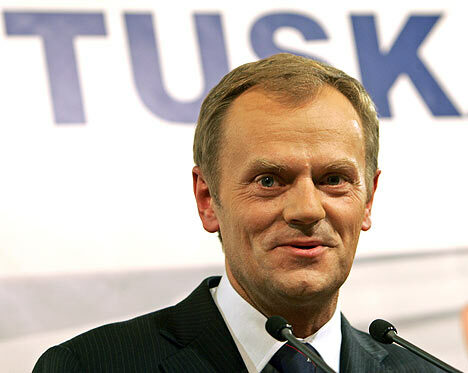 The appointment of Polish Prime Minister, Donald Tusk, to replace Van Rompuy as President of the European Council has provoked jitters within Europe’s environment community. No-one would ever have described Poland under his leadership as an environmental leader. He seemed to relish his role as the brake on European ambition on climate change. Coming from a country as heavily dependent on coal for its energy, and nervous about any dependence on Russian gas well before Mr Putin’s invasion of the Ukraine, this behaviour is hardly a surprise. Prime Ministers are there to protect and promote their countries’ interests. He may not have been right to identify a dirty and dying industry as in Poland’s interest but he was effective in defending it. This skill may not work as badly for the climate as it first appears. It is worth remembering that Tusk is Merkel’s pick whatever the No.10 spin machine tries to make you think. Their relationship is close. Climate change matters to Merkel and she now leads Europe on it. Tusk is unlikely to pick unnecessary fights with his sponsor and also his strongest ally as President. Furthermore, being the President of the European Council is a fixer’s job. Van Rompuy was more successful than expected because if he had a personal agenda he kept it very much to himself. The President’s task is to find and secure the agreement of the leaders of the member states. This means Tusk is now charged with promoting and protecting the common interest of Europe. This may make it more difficult rather than easier for his successor in Poland to put the brake on European climate ambition. Finally, the Council is only one of the Union’s institutions. The Council has to work with both the Parliament and the Commission. What ultimately happens to EU policy is a result of a resolution of their pushing and pulling on each other. This makes tedious copy for the media but is actually a more robust way of dealing with an increasingly uncertain world than it is given credit for. The new Parliament is in place but yet to show its intent on climate change. The new Commission takes office in November. How they will relate to each other and what kind of influence on the Council they will have remains to be seen. The appointment of Jean-Claude Juncker as President of the Commission however raises an interesting prospect. Lyndon Johnson was far more substantively successful than any subsequent US President. He was a creature of the Senate and knew better than his successors how to make it work for him. Juncker is the pick of the European Parliament. This makes for a new and potentially more dynamic relationship between the Council and the other two institutions. Against this background it is too early to call the impact of Tusk on European climate ambition. There have been two interesting straws in the wind from Juncker. He was far keener than his predecessor in having a strong energy efficiency target. Access to more European funding for efficiency improvements would help Poland more than most. There is also some talk of bringing the energy and climate directorates together. Since your energy policy is your climate policy this would make achieving a resolution of the security-affordability-climate equation less fractious. The Tusk big idea which propelled him to prominence in the debate on Europe’s future was the idea of an Energy Union. In its original form it was transparently a plug for Poland’s coal and was met with a mixed reaction. Turn this into an Energy and Climate Union driven forward by a combined energy and climate directorate and well led European institutions might be able to accomplish something most of its governments have so far failed to do.